SATO announced plans to become the number one auto-identification (Auto-ID) company in Thailand by 2018, through development of food safety and patient safety solutions for the Thai food and healthcare industries. The company operates in Thailand as SATO Auto-ID (Thailand) Co., Ltd.
By integrating technologies from radio frequency identification (RFID) to visual recognition and robotics, SATO Auto-ID (Thailand) seeks to support the food and healthcare industries as Thailand moves towards becoming the ‘Kitchen of the World’ and the ‘Region’s Medical Hub’. 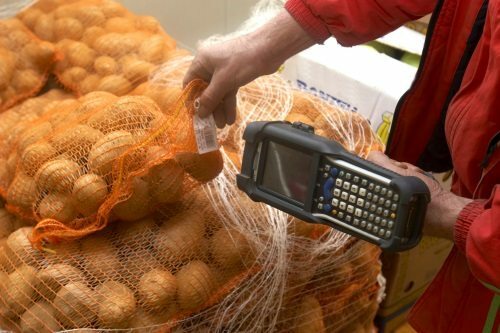 SATO supports food manufacturers and restaurants alike, by developing solutions that integrate labels, barcode, printers, scanners, software and aftersales support to allow companies to quickly track products and control quality to ensure food safety. As the patient safety provider, SATO delivers fast and reliable identification solutions to provide precision, labor savings and peace of mind for Thai hospitals. It seeks to provide fail-safe systems of patient identification to improve caregivers’ peace of mind, which is directly connected to patient safety. “In 2015, we achieved 475 million baht (US$13.3 million) in sales and the second highest market share among direct distributing Auto-ID companies with approximately 14%. “Considering the rate of Thai economic development and our strategic focus on food and healthcare, we aim to be the number one Auto-ID solution provider by 2018 with sales of 745 million baht,” said GM of the Thai office Daisuke Tatsuta.